Every Christmas, my domestic side kicks into high gear and I make a ton of treats for friends, family & neighbors. 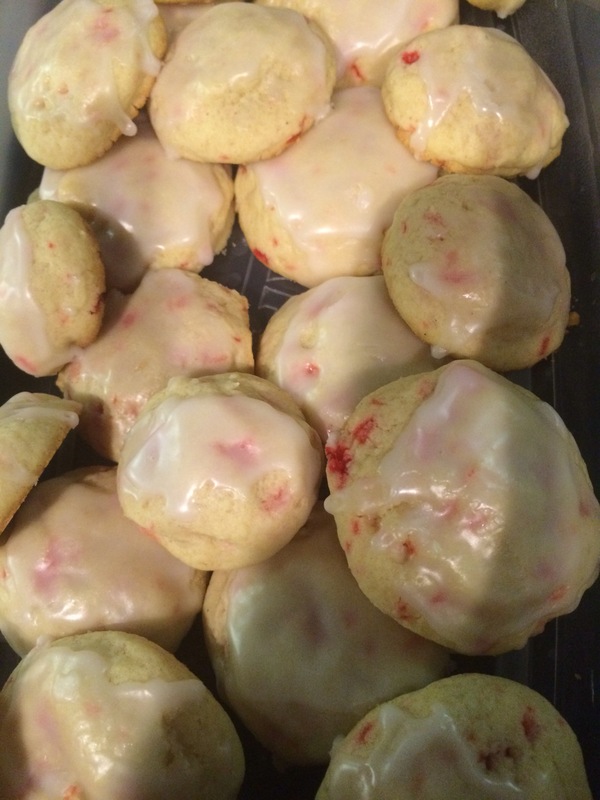 I have a few old standards that I turn out each year (like my salted caramels), but this time I added a new treat to the mix: peppermint sugar cookies. Like most of the things I make, it’s an easy recipe that tastes fancier than it really is. I used the basic sugar cookie recipe that I’ve been baking for years & just tweaked it a bit. 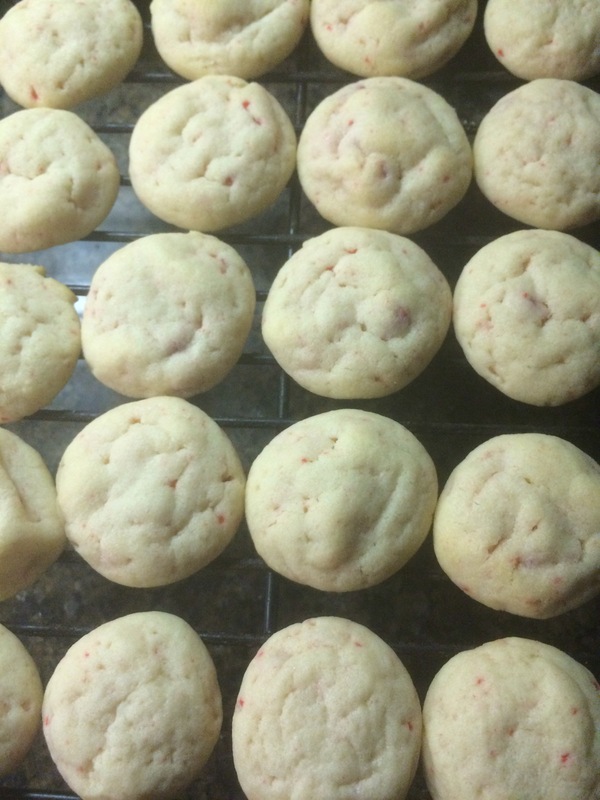 The result: soft, melt-in-your-mouth cookies with flecks of peppermint in every bite. I’m including a recipe for a minty royal icing if you want to add a glaze to dress them up a bit. It’s not necessary and I skip it if I’m baking multiple batches (I’ve baked 30 dozen so far this year), but it does add some eye appeal and you can even sprinkle on a little more crushed peppermint before the icing hardens if you want to make them extra-fancy. This recipe makes 5 dozen small cookies; if you keep them bite-sized then each cookie contains about 85 calories, 3.5 grams of fat, 12.5 grams of carbs & 1 gram of protein. Preheat oven to 350F & line cookie sheets with parchment paper. Set out cooling racks if you have them (the air circulation makes a difference in the texture of the finished product). Cream together butter and sugar for a few minutes until light and fluffy. Add egg and extracts and mix until combined. A cup at a time, add the flour until just combined, then gently fold in crushed peppermints and baking chips until they’re incorporated into the dough. Don’t over mix! 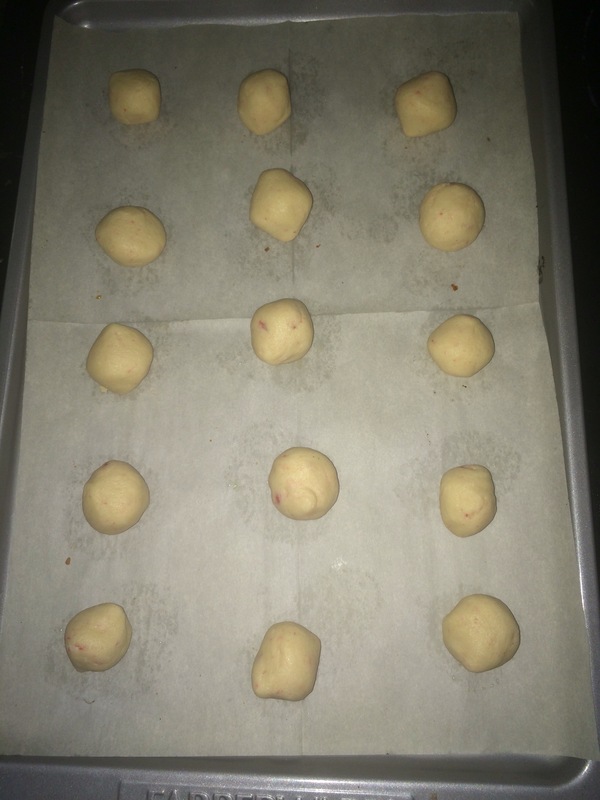 Roll dough into 1 inch balls and evenly space apart on cookie sheets lined with parchment paper (I can fit 15 – 5 rows, 3 columns – on each sheet). Bake cookies for 10 minutes. They’ll still be light – browned edges mean they’re overcooked. Cool on cookie sheets for a few minutes, then move cookies to your cooling racks until completely cool. In a small bowl, whisk sugar, water & extract together. Dip tops of cookies in icing or brush on tops of cookies with a pastry or basting brush, then sprinkle each cookie with a bit of crushed peppermint or sugar sprinkles & let the topping harden. That’s it! These cookies taste great with my peppermint cocoa, by the way. But that’s a post for another day! 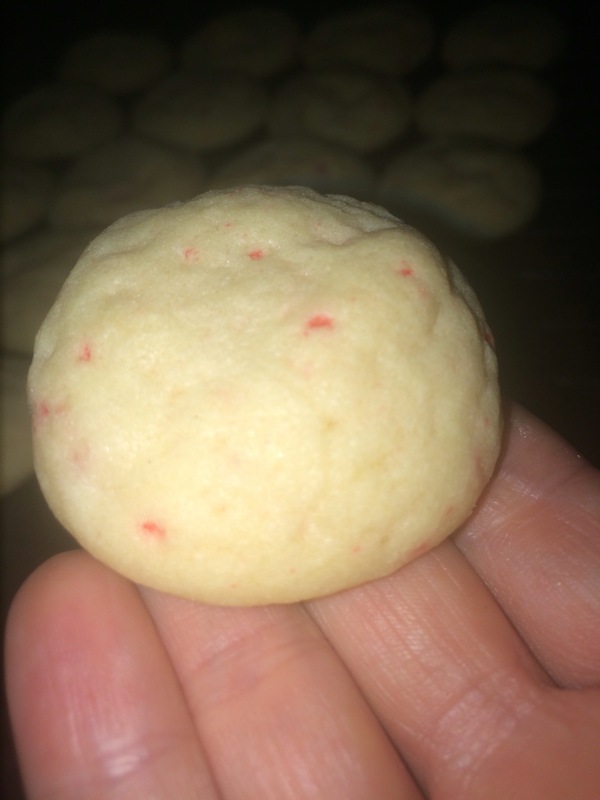 This entry was posted in Nutrition and recipes and tagged andes baking chips, christmas cookies, holiday cookied, peppermint, peppermint crunch, sugar cookies on December 21, 2015 by Pyro.